Uncovering the mysterious menu item in Super Smash Bros Ultimate. A rough recreation based on frame-by-frame analysis of Smash Direct. Nintendo revealed a lot of new features in Super Smash Bros Ultimate during August’s Smash Direct, but one of the most interesting was a first look at the game’s main menu. Hidden within the green block and obscured with a pixel-based filter was a brand new (yet to be revealed) section of the game. 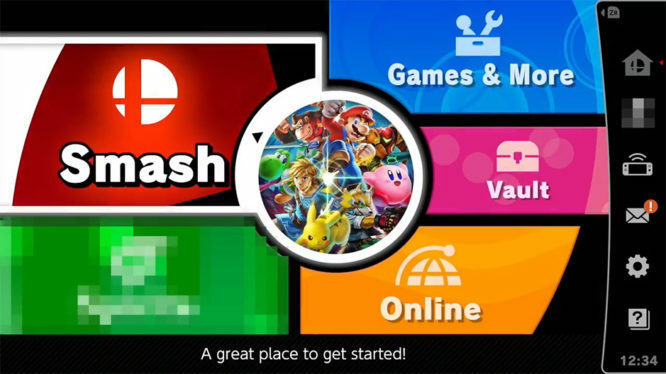 During the August Direct, Smash Bros series director Masahiro Sakurai stated that the main menu contained a “mysterious mode” that they weren’t going to talk about this time around. Despite the lack of any further information, the menu item was at least officially confirmed to represent a new mode in the game. An hour or so after the Direct had finished, a Twitter user who goes by the handle @noctulescent, claimed that they’d manage to decipher menu item’s text by capturing a series of frames from the footage. The two captured images seemed to show a faint top line and faint bottom line of what appeared to be “Spirits”. The pixelated menu item certainly appears to read “Spirits”, not only that, but the white-ish icon above it also seems to represent a simplified wisp-like shape. 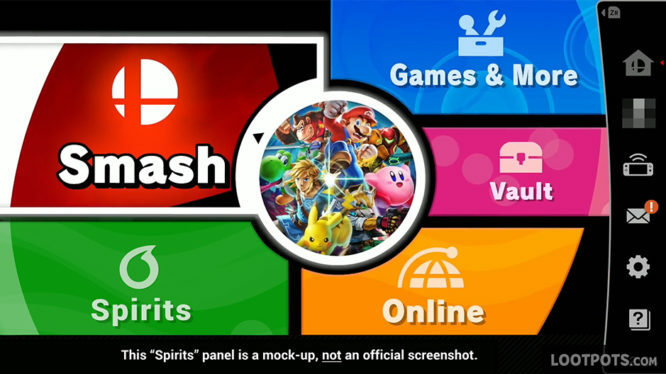 Taking into consideration Sakurai’s earlier comments about the menu item being a “mysterious mode”, I think it’s fairly safe to assume that Super Smash Bros Ultimate will include a brand new mode tentatively known as “Spirit Mode”. Spirit Mode menu item mock-up, based on frame-by-frame pixels. While the background pattern may not be entirely accurate (it’s near impossible to decipher from the footage), the overall image should give you a rough idea of what was most likely hidden behind the chunky pixel-based filter. Interestingly, the introduction to the August Smash Direct included a short video of Luigi being attacked by Death, showing his spirit leaving his body. Could this be related to the new Spirit Mode? Also, what’s up with that ZR menu icon that’s also been censored out? Unfortunately, we may have to wait for Nintendo to provide us with the answers this time around.